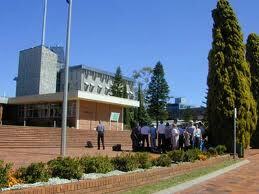 The University of Southern Queensland (USQ) will offer two Scholarships in Semester 2, 2013 to outstanding international students intending to study a postgraduate degree by coursework. You must be intending to study full-time, on-campus at USQ Toowoomba, Springfield or Fraser Coast and therefore must be able to study in Australia on a student visa. Applications must be received by Friday 15 March 2013 for Semester 2, 2013. Demikianlah artikel mengenai Vice-Chancellor’s International Postgraduate Scholarships, University of Southern Queensland, Australia Semoga Bermanfaat Bagi Anda.